This darling old fashioned style Christmas tree ornament is just the right gift for your hostess at the Christmas party or your co-worker. 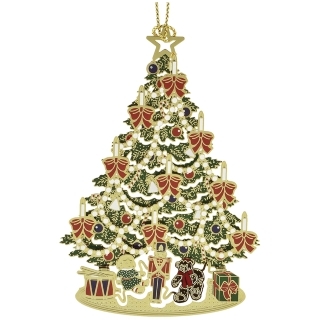 It is ideal for just about anyone who loves Christmas and everyone will appreciate the fine workmanship and the hand painted ornament finished in 24 k gold! It comes in a velvet lined gold foil box.